I love reading books about motherhood. In my (too-tall) reading pile, you’ll usually find at least one book related to raising kids or being the best mom possible. 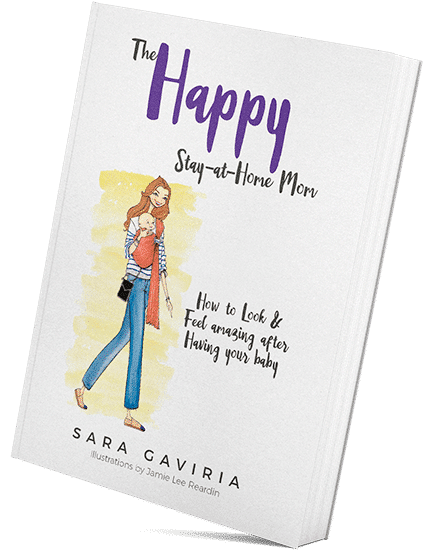 So I was excited to have the chance to chat with Sara Gaviria about her new book, The Happy Stay-at-Home Mom: How to Look & Feel Amazing After Having Your Baby. So often, stay-at-home moms get a bad rap for looking terrible. 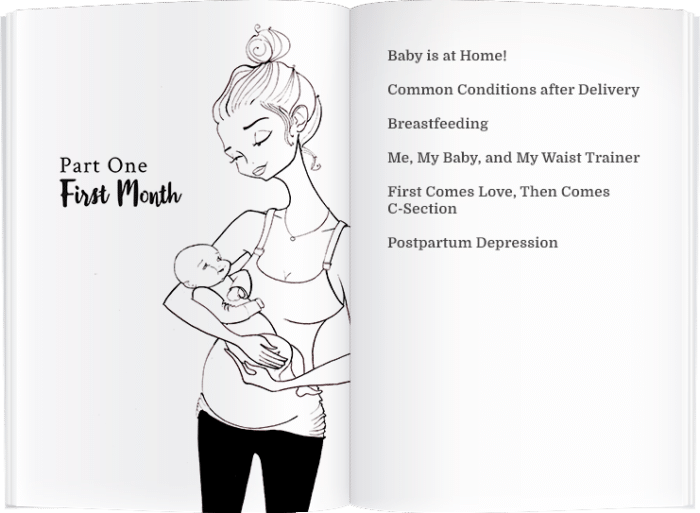 While motherhood may be amazing, those first few months after baby’s arrival can be rough. Pregnancy, birth, and taking care of a newborn is hard on a woman. Despite that, we can be happy as stay-at-home moms. 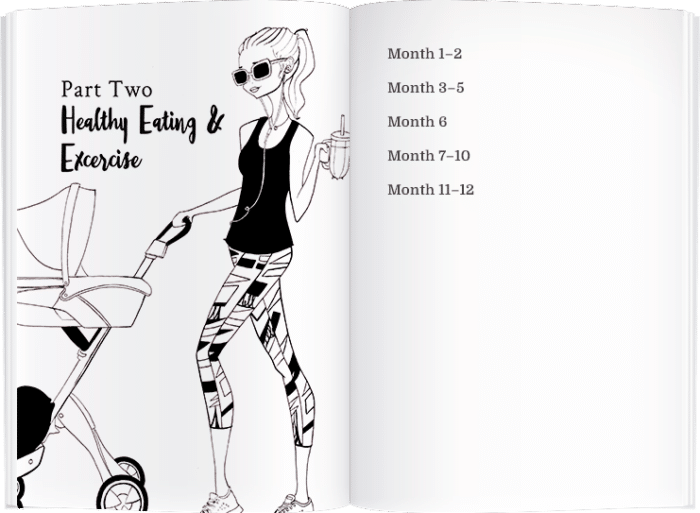 I love the fact that Sara is embracing her identity as a SAHM and helping other moms discover how to do the same. Sara: I am a Colombian journalist with an MA in Marketing and Communications from Westminster University, U.K. I lived in London in my twenties and in California in my thirties. I worked as an advertising executive for media publications in London and for the San Diego Union-Tribune for six years, serving in my last position as a Manager of Hispanic Publications. I now live in Houston, Texas, with my husband and adorable son. I love yoga, shopping at Zara and dark chocolate. 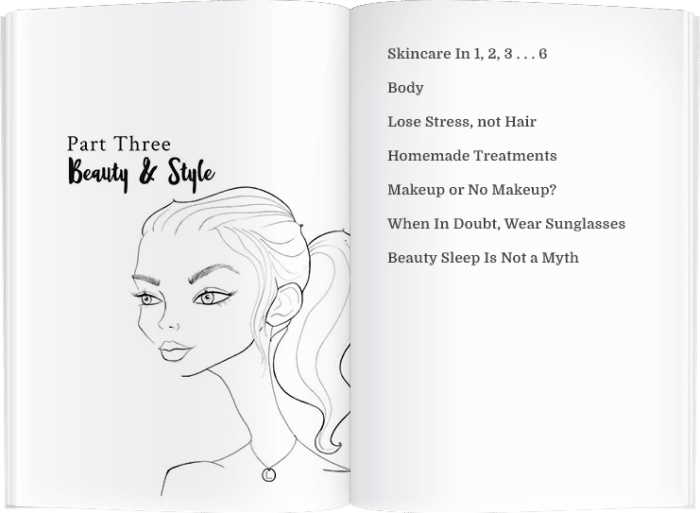 If I see you, I’ll tell you straight away what are the best products for your skin (but no worries, everything is in my book). I am a book geek and a fast reader. I read about 100 books to be able to write mine (there are over 50 books recommendations in my book). 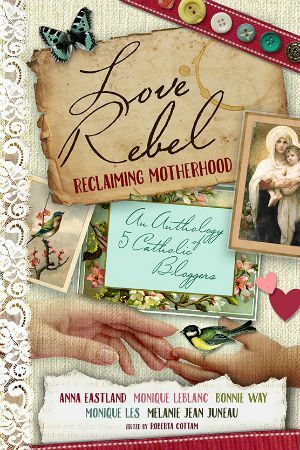 TKM: What inspired you to write a book for stay-at-home-moms? Sarah: I wanted to write a book for the moms. 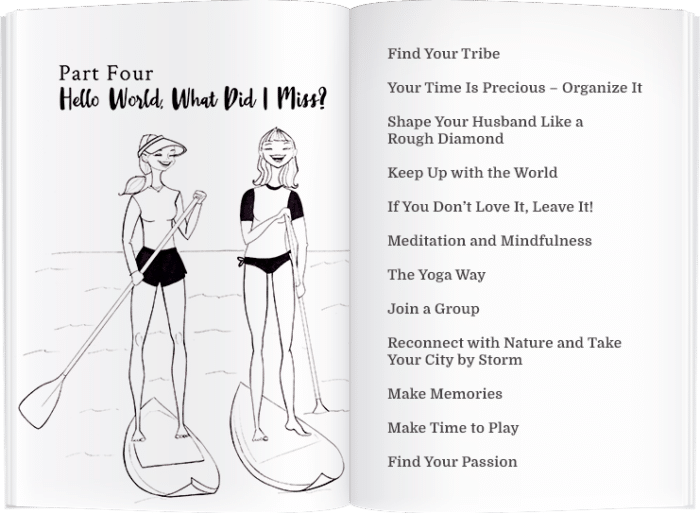 I wanted to make them feel more inspired, as well as prettier, healthier and… happier! TKM: There are lots of books for moms today. What makes The Happy Stay-at-Home Mom different? Sara: I think mine is very unique. It focuses on the mom. There are a lot of books on motherhood that focus on baby/toddler’s care. Mine is for the mom. My mantra is Happy Mom = Happy Baby. I take the mom on my own journey since the day my baby was born. I share my struggles but at the same time, I give practical solutions to each problem. Also, my list of product recommendations (beauty, style, books) and natural treatments makes the book very unique. TKM: What’s the biggest things you hope moms will take away from The Happy Stay-at-Home Mom? Sara: Be a proud stay-at-home mom. Be grateful, live healthfully, look stylish, be endlessly curious, follow your bliss, be present, keep it simple, love yourself, and . . . do it all over again. Every single day. TKM: Could The Happy Stay-at-Home Mom be used in a group setting, like a book club or mom’s group? TKM: What was your biggest challenge in writing your book? Time! I would have loved to have 8 hours straight to write! TKM: What was your biggest surprise or success in getting The Happy Stay-at-Home Mom into the hands of readers? Sara: The reviews! They are all so lovely! Some made me cry. Also, I just started this social media thing. I mainly promote my book on Instagram. The response has been great. I also have had the opportunity to engage with other moms and folllow them and they are just amazing… We are all just trying to do something besides our role of mothers and share our happiness and our struggles and that’s great. It’s good for our souls. Oh, and reaching the number one position on Amazon Kindle’s Pregnancy and Childbirth new releases category! 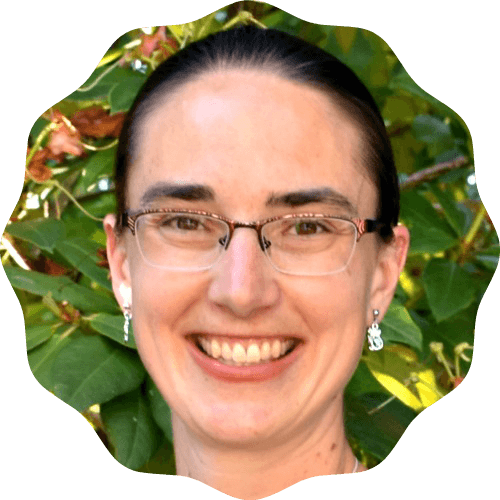 TKM: How do you juggle writing and promoting your book with motherhood responsibilities? Sara: It is very hard. I just try to focus. If I am with my son, I am 100% with him and I try to be very productive when he is in daycare or napping. He’s a good napper. Thank God for that! TKM: What advice would you offer to other mom writers? Sara: Have self-discipline, be very organized with your time, don’t waste time on your phone. Set small goals; for example; one page a day. Think about it, if you write a page per day, you will finish a book in less than a year. (An average book is 200-250 pages). 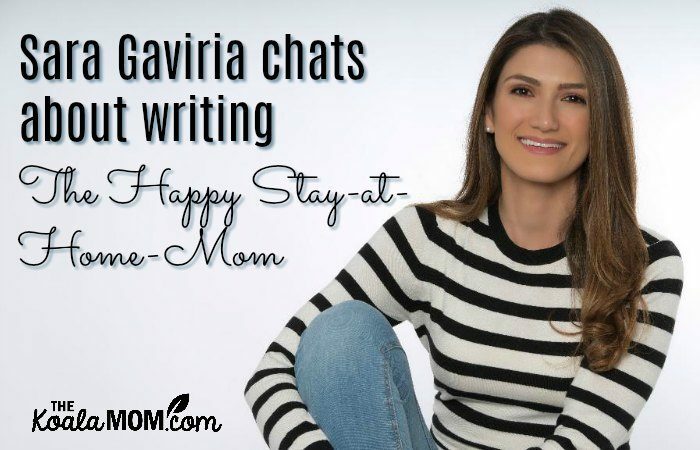 TKM: How long did it take you to write The Happy Stay-at-Home Mom? Well, I started in December 2015. A long time! TKM: Are you working on another book? Yes! I have the idea, the title, the number of chapters and notes that I have collected for a year. I will start on December 1st of this year. I am excited and I hope it doesn’t take me as long as the first one! I have learnt a lot and also, my son is now in daycare half day. TKM: Where else can we find you online? 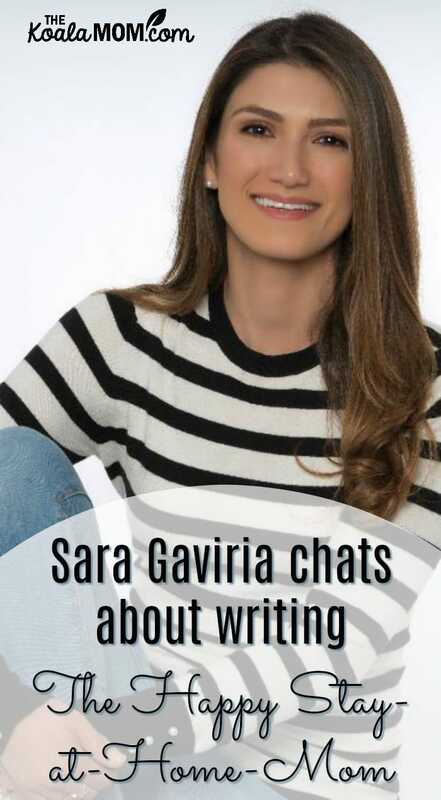 My website is saragaviria.com. Please subscribe to my newsletter to receive healthy recipes, beauty tips, books recommendations and more! TKM: Is there anything else you’d like to add? To your readers: please grab a copy of my book! You will be happier and it will mean the world to me! 😉 The Happy Stay-at-Home Mom is available on Amazon in both hardcopy and Kindle.